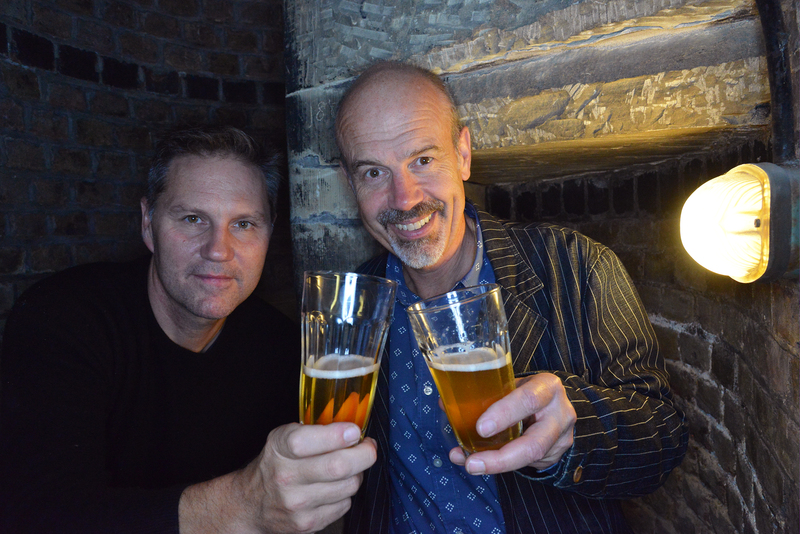 London has a long history of beer making, so it should come as no surprise that Steve Reynolds and Roddy Monroe were inspired to transform the crypt at St Mary’s church on Elsworthy Rd into a micro-brewery. It all came around after a spring clean down in the crypt. After eight skips had been filled with rubbish, Roddy and Steve looked around them, and there, between the statues and candlesticks, they had a divine inspiration that the crypt would be the perfect location for a brewery. They approached the vicar, Marjorie Brown, with their idea, and she loved it. Permission then had to be sought from the bishop, if a brewery was to be considered in a church. Thankfully he was also enthusiastic, but gave two conditions: he was to have the first pint, and a non-alcoholic beer should also be made so as to be inclusive to non-drinkers. The bishop also offered to bless the beer at the launch. 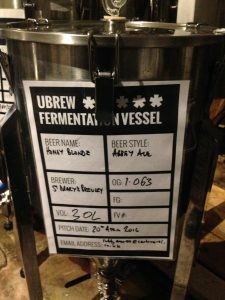 The next step was to contact UBREW, master brewers in Bermondsey. For a monthly fee you can make as many brews as you like within that time. They help with the whole process, from brewing all the way through to setting up a business, customs and excise and general legality. At the brewing phase, they provide help and expertise to produce a range of beers, whether light or dark, flavoured or organic; help is provided on every step of the way. There are two things to look for when you start brewing: great quality beers and consistency. Steve and Roddy are now planning to develop a multitude of beers, including seasonal ones throughout the year. The three pillars behind their enterprise are to brew great beer, create a community, and help raise money for the much needed youth work programme which Jason Allen runs in the church. The youth programme is a service which provides invaluable aid to young people in need. Grants which have enabled it to function in the past are now drying up. The service needs a long-term planning strategy behind it, and Roddy and Steve hope the brewery will help to provide a steady income for the programme. 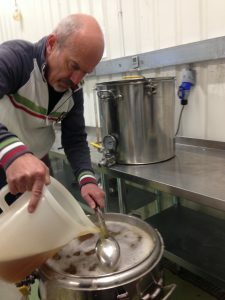 The strategies of the micro-brewery are to create a beer club with an annual subscription, provide beer for social and professional events, promote corporate responsibility programmes, and sell their beers through retail outlets. The beer club will include beer tastings, a festival, guest speakers and trips to other breweries. You don’t have to attend the church to become a member. It’s all about getting people together for beer and a good cause. Bespoke brews will be on offer for social or business events, and they can create beers for individual occasions. If you love raspberries, Steve and Roddy will create a raspberry beer for you, with a personalised label if required. Beers can be made for special one-off events: they have already provided beers for birthday parties and much needed hydration following a half marathon race! Corporate responsibility programmes involve the brewery in providing a sustainable future for the youth work at the church, together with the potential of working alongside young people at risk. The process will give these young people a sense of value and purpose as they take on the responsibility for designing the labels, naming the beer, deciding how much to make, what price it should be, and then marketing it themselves. Steve and Roddy hope that local shops and businesses will support their project. There’s a growing interest amongst consumers in buying produce which is locally made. It tends to be more economically viable, less taxing on the environment, and generally healthier. 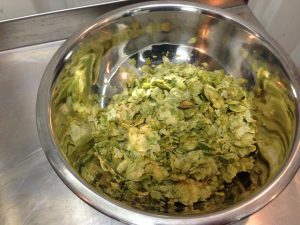 They hope to be able to work with Transition in the future to create a network of hop-growers. 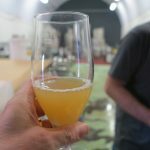 There are three breweries a month opening in the UK at the moment. Many of us have had enough of chemicals and preservatives. Just as bread has recently enjoyed a renaissance, it’s now time for beer. Breweries which were closed down in the 1970s and 1980s are being re-opened. The sales of craft beers have soared. People are going for fewer beers, but better quality ones. The Camden brewery is a classic, local example of success, and The Hill pub on Haverstock Hill has a micro-brewery. Bermondsey alone has eight breweries. Happily, the brewing world is very open to sharing ideas amongst themselves. Tasha from UBREW offered fourteen different beers to taste at the launch. She is a young woman whose passion is beer making. On offer to taste: raspberry beer, Earl Grey beer, and an orange beer which would be absolutely perfect for Christmas. Amen to that.